Capitalists@Work: Will you buy the Lloyds IPO? Will you buy the Lloyds IPO? The day after the Banking Commission interim report and Lloyds bank have reacted angrily to the recommendations to make them sell more than 600 of their 2900 Branches. of course, they have a plan which has been in motion for some months and now this suggestion messes that up and probably also makes them have to wait for the full report out in September before knowing what they can do. No element of surprise for the market or their shareholders and the shareprice has been relatively steady since the announcement. The real issue, which Lloyds have hinted at, is that with say 1000 branches for sale it is a big deal to buy them. RBS has sold 326 to Santander for £1.8 billion, so treble that and you have a deal of £5.4 billion. Are the new entrant banks like Virgin Money or NBNK really going to find that kind of money - I think not. Even Private Equity houses are going to be hard pushed to raise those kind of funds in this market, especially as retail banking will get harder in the years ahead. Also there are huge back offices issues as these banks need a really strong IT platform that Lloyds is not going to give away with it. Plus of course there are other ancillary services like Insurance and Asset Finance that are not going with the branches. All in all, a challenging pill, which means perhaps the most likely option will be a floatation of the business - a re-birth of HBOS, although no doubt they will choose another name for it from their stable of brands, probably Cheltenham and Gloucester. What is ironic is that if Lloyds had shut more branches as it was originally planning to do then it would not have so many, would have less perceived market share and thus would escape having to do this deal. As for buying into the IPO, as always it would depend on the price, but retail bankign is goign to be a heavily regulated area in the future, with mroe competition - it's not facebook is it? Geez, it's one big bag of spanners which ever way one looks at it. Some kind of analysis as to the long term prosepects of static bank buildings should also be thrown in. Sure, they seem busy when you wander in but I know in my case I could just pull my finger out and do it over the tinterweb. In any given town we usually find them all represented, and in t'north here, we've still got building socs (and having looked at Yorkshire Building Soc, their customer base is growing nicely) so, other than the reasons you've outlined in the thread, it should also be borne in mind that maybe there's an element of progressive irrelevance. (Not that I have any odea what i'm talking about, by the way) Cheers CU. what's with all this new found republicanism?? Do we believe in the proposed new bank or not? Do all the branches have to be sold to the same party? 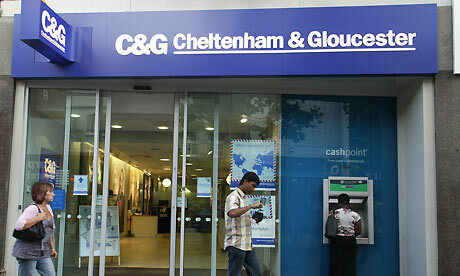 Surely between them the likes of Metro Bank, Virgin Money et al. might want a few of them? Or why not close them and sell the land on the market?